To break in to today’s music industry as a songwriter, you first need to master the writing and arranging skills employed by many hit songwriters. Yet, even if you do so, a record label isn't likely to knock on your door and ask to record your new songs. 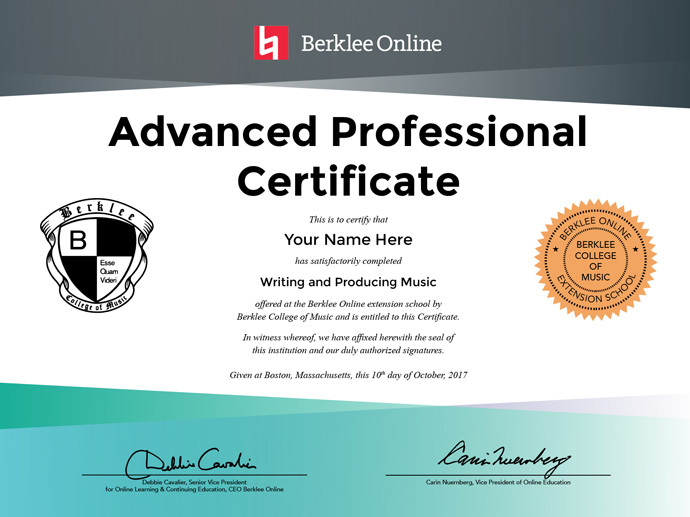 You'll probably need to do it yourself, which is why this program pairs writing and arranging with a music production curriculum that will enable you to record and mix your compositions with professional results. You’ll come away with the multi-faceted skill set necessary to start or advance your career as a contemporary writer/producer. Overview Course Requirements Elective Requirements About this Certificate Enroll Now No application required.